Your family deserves to be supplied with a dependable SUV that’ll never hesitate to lead the way along the roads of Marlton, Mount Laurel, and Cherry Hill. So, to help you learn more about the dependable Honda Pilot, the team at Burns Honda has created this convenient Honda Pilot reviews library. Within each of these pages, you’ll discover more about the potent performance, efficiency, technologies, and safety of this reliable SUV. That way, you’ll arrive at our showroom knowing that the Honda Pilot is the ideal automobile for you and your loved ones. Let’s take a look at what you’ll find inside these articles! Every press of your automobile’s accelerator should deliver a dose of powerful strength that helps you take on any obstacle the road throws your way. That’s why the Honda Pilot serves up a standard 3.5-liter V6 engine that’s included in each of its trims. The only difference you’ll find in the trim levels of the Honda Pilot is that the LX, EX, and EX-L trims feature a 6-speed automatic transmission. Alternatively, the Touring and Elite trim levels offer a 9-speed automatic transmission. Regardless which version of the Honda Pilot you select, you’ll have all the muscle and effortless performance needed to dominate your day. Learn more about the capabilities of this SUV’s standard engine by reading one of our Honda Pilot reviews below! Looking for an SUV that can equip you with just as much fuel-sipping prowess as it can power? Well, the Honda Pilot helps you steer clear of the gas pump with its standard 6-speed automatic transmission, which provides you with an EPA-estimated 19 MPG city and an EPA-estimated 27 MPG highway1. In addition, the Honda Pilot comes with a number of capabilities and technologies that keep every ride efficient. Check out some of those features by reading through our Honda Pilot reviews! Thanks to these intuitive gadgets, you’ll be warned of potentially dangerous situations with audible or visual alerts. That way, you can more easily keep your family out of harm’s way. 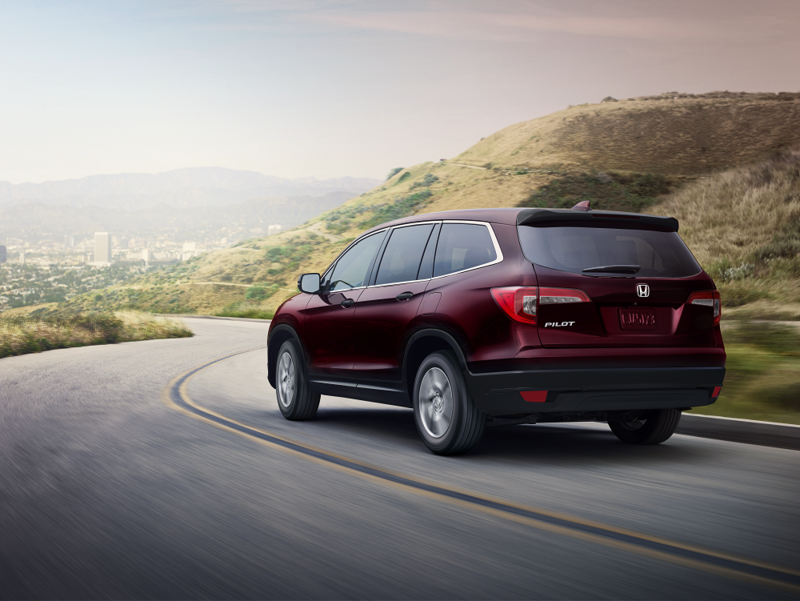 Select one of our Honda Pilot reviews to learn more about this car’s other smart safety tools. Your vehicle should be an oasis that’s filled with convenient resources. And, inside the Honda Pilot, you’ll be surrounded by advanced technologies that connect you to your favorite entertainment options. For example, the available 8-inch touchscreen connects you to your own library of music via Apple CarPlay™ and Android Auto™. Of course, those are only a couple of the gadgets you’ll discover inside this SUV. To see the other technologies found in this vehicle, choose one of our Honda Pilot reviews! Test Drive Your Honda Pilot Today! At Burns Honda, we’re committed to providing drivers near Marlton, Mount Laurel, and Cherry Hill with all the insights you need about your next automobile. And, by climbing inside the Honda Pilot, nothing will stand between you and a productive day. Ready to get a closer look at this SUV? All you have to do is click on one of the Honda Pilot reviews on this page. From there, feel free to stop by our showroom or schedule your test drive today to see this sleek vehicle in person! 1Based on 2018 EPA mileage ratings. Use for comparison purposes only. Your mileage will vary depending on how you drive and maintain your vehicle, driving conditions and other factors.